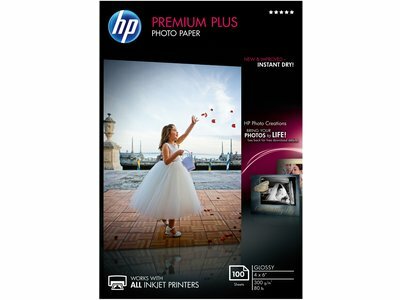 Show your pictures in their best light when you print them out on HP Premium Plus photo paper. It creates water-resistant and smudge-free photos that are sure to impress. Glossy coating provides a professional look. Produces smudge-free, water-resistant and instant-dry photos. Produces smudge-free, water-resistant and instant-dry photos. Ideal for photo reprints, customized photos and sales literature.